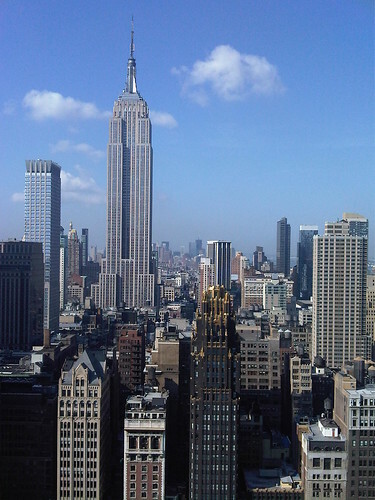 This whole week I am in Sybase training in NYC. I will write down short posts of mostly differences between Sybase and SQL Server each day and also what I have learned. Here are the materials for this week of training. One of the biggest differences between SQL Server and Sybase is of course that Sybase runs on Linus, Unix, Mac and Windows, SQL Server only runs on Windows. 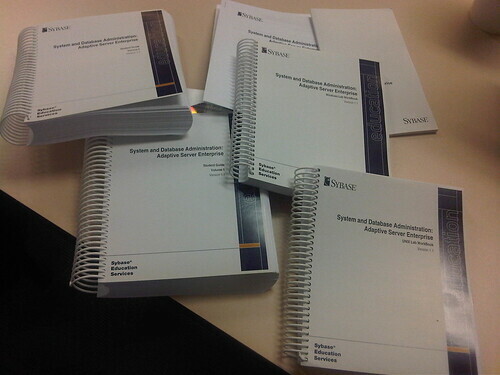 I learned about the various files and directories that are needed for a Sybase installation. A custom install would also give you the option of installing the Job Scheduler, the Job Scheduler is probably something like SQL Agent. The instructor said it is heavy weight, it uses a lot of process power. SQL Server only has 8K files, Sybase has 2K, 4K, 8K, 16k files. This sounds great, however the page size is per server and if on one server the page size is 2K and the other server has 4K then you can’t backup and restore the database on the other server, you need to script out the DB and then bcp all the data over, there was also another way mentioned by manipulating files. Sybase also has no mixed extents, an 8K master database will be 4 times bigger than a 2K master database. This is done with the sp_config stored procedure, all these configurations are written in the ServerName.cfg file (in theory you can change it right there but if you add a bad value you might mess up your server and it won’t start). The sp_monitorconfig will show you the usage statistics. The procedure sp_monitorconfig displays cache usage statistics regarding metadata descriptors for indexes, objects, and databases. sp_monitorconfig also reports statistics on auxiliary scan descriptors used for referential integrity queries, and usage statistics for transaction descriptors and DTX participants.